Madrid, February 1st 2018. – He had never done it before, but there must be a first time for everything, even for Scott Schuman. For the first time in his career, the photographer and founder of the The Sartorialist blog, considered the pioneer in the photography urban fashion, has abandoned the streets of the world’s major cities and the international fashion week runways for a five-star hotel on the Riviera Maya. And now, Scott Schuman has signed off the Royal Hideaway Playacar hotel’s latest marketing campaign, using its guests as his subjects. The hotel and the photographer joined forces to provide this unique experience for guests, one inspired by the aesthetic of social networks, just like a stay at a Royal Hideaway according to The Sartorialist. The Guest Listis a series of photographs taken by Scott Schuman during his stay, and illustrates the essential character of the hotel through its guests. He regularly posts on his blog street-style photos of all kinds of people representing timeless attitude, style and elegance, and now guests at the Royal Hideaway Playacar have become part of that select group of people throughout the world who epitomize what The Sartorialist defines as true style. Thus, the hotel has treated its guests to the experience of featuring in the work of someone who is currently one of the fashion industry’s most prestigious photographers. The figures speak for themselves: the blog that Scott Schuman set up in 2005 has 14 million page views per month, has attracted a million Instagram followers and, over the last two years, has become one of the fastest-growing blogs, doubling its number of active users to exceed 400 million. An average of 80 million photos are shared every day, and there is no doubt that those authored by The Sartorialist are among the most popular by virtue of their unique and pioneering ability to capture the style of real people anywhere in the world. It is this ability that the photographer draws on in his current marketing campaign for the Royal Hideaway Playacar, an exclusive, five star, adults-only resort overlooking the white sands of an idyllic beach on the Riviera Maya. Normally, it is people walking along the street who reveal the essential character and style of a place or a city, and this premise holds true at the Royal Hideaway Playacar, where the guests are a true reflection of one of the most privileged havens in the Mexican Caribbean. This is the concept underpinning The Guest List project: to capture the personality of the Royal Hideaway Playacar through the guests who most accurately represent it, and to hire the best person for the job – the photographer Scott Schuman, an expert in conveying the essence of the places he visits. “My job is very simple. I travel around the world and photograph the people I meet, places, indoor scenes and landscapes that strike me as particularly inspiring, and I share them on the internet”, is how the photographer describes his day-to-day work. Working within the Royal Hideaway philosophy, the campaign aims to express the values of its brand and hotels by creating a communication code that links style with fashion and special moments. “The magic of this job lies in (…) being spontaneous, capturing moments and people. This place has a certain beauty, confidence and elegance that you don’t often see, and it is very inspiring,” adds the North American. The Sartorialist found himself captivated by the atmosphere of the Royal Hideaway Playacar hotel: “I believe it is more than a classic. It has such refinement; it transcends time. It is gorgeous, thrilling. The décor, quality, colour, features and details: everything is done so well, but it also has a timeless quality, (…) a quality that one does not always find in fashion”. Every visitor to the Royal Hideaway Playacar hotel falls in love with it, thanks to its unique location overlooking the white sands of one of the Riviera Maya’s idyllic beaches, and thanks to the exclusive range of luxury experiences offered within an all-inclusive package. 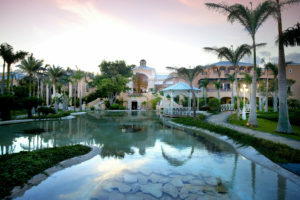 With 200 superb rooms offering the promise of a luxury stay in a lush garden setting, the hotel provides every facility required for an amazing vacation, including 6 restaurants serving international cuisine, with the highlight being the Chef’s Table experience at the Ventanas Restaurant. Luxury pervades every corner of the hotel, including its 6 swimming pools, spa and gym, as well as the host of experiences on offer, both within the hotel itself and on the idyllic beach outside. Your dream of tranquility and privacy in a luxury adults-only setting can become reality on the Riviera Maya, thanks to the Royal Hideaway Playacar – Adults Only part of the Leading Hotels of the World consortium. Scott Schuman has a close and long-standing relationship with the fashion world. In 2009, Penguin published an anthology of his snapshots which to date has sold over 100,000 copies, and his work forms part of the permanent display at both the Victoria & Albert Museum and the Tokyo Metropolitan Museum of Photography. He is currently working on his next book. Thus, the subjects of the snapshots taken during his stay at the Royal Hideaway Playacar will achieve a distinction reserved for only a select few: the honor of having been photographed by the man considered the father of Street Style. The art of fine moments is a perfect description of Royal Hideaway Luxury Hotels & Resorts. Positioned in the luxury segment of the market as guardians of refinement and good taste, its resort hotels base their appeal on the promise of a superlative experience. This upmarket brand includes two hotels in Latin America: the Royal Hideaway Playacar, an exclusive Adults-Only resort on the Riviera Maya (Mexico), and the iconic El Embajador, a Royal Hideaway Hotel in Santo Domingo (Dominican Republic). In Spain, Royal Hideaway has four high-class establishments: La Bobadilla, a Royal Hideaway Hotel in Loja (Granada); Hotel Formentor, a Royal Hideaway Hotel in Formentor (Mallorca); Asia Gardens, a Royal Hideaway Hotel, in Finestrat (Alicante), and the Royal Hideaway Sancti Petri in Sancti Petri ( Cádiz). January 2018 will see the opening of the Royal Hideaway Corales Resort in La Caleta (Tenerife). Seven different hotels with the same values and a singular understanding of the art of living well.